Just a quick note to say Thank You! We are all so impressed with you and the knowledge you have to share. Fortunately, unfortunately, we had severe weather here that was able to provide a perfect canvas for you to teach. All of the firefighters are still talking about the training and have been sharing it with others. 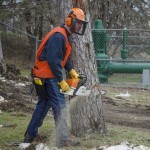 Please use our testimony to help others to be encouraged to become chainsaw aware. Thanks Again!!! Just wanted to let you know that our whole DeForest crew really enjoyed your training on Wednesday and learned a lot. One of the guys even told me it was the best training that he has ever attended. Your knowledge and passion comes through clearly while still teaching in a great way to reach the guys. Thanks so much! Thanks again for the training. There was an overwhelming amount of positive feedback from the employees that attend the classroom and hands-on sessions. I know that many of these employees went home feeling far more comfortable and safer when using a chainsaw. Our mechanics were also surprised with some of the helpful maintenance and chain sharpening tips in the class. We look forward to having you again next year! 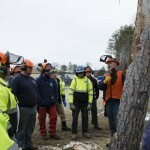 Great job with the trainer for yesterday’s chain saw class. Jim Olive was by far the best presenter we have seen. I have handouts from his company that we can use as a reference manual as well as certificates for each employee that completed the training. At the end of a whole day of training the guys were still asking questions. I think that says a lot. I just wanted to send you a quick E-mail thanking you for being the instructor for the chainsaw safety class yesterday (Sept. 30, 2014). 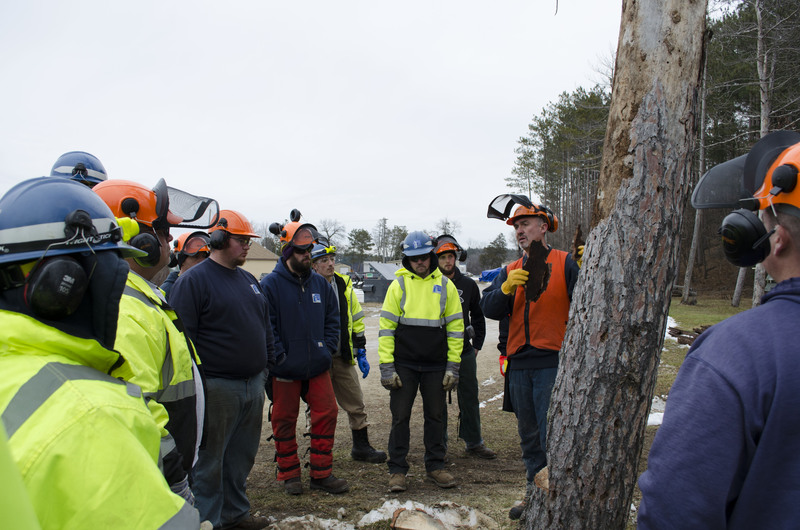 Every part of the class; protective gear information, chainsaw maintenance, and felling in the field, was very engaging and informative. I look forward to practicing the “new” way of the open face cut and using a bore cut to finish off the tree. I enjoyed this class very much and I feel like I went away a much more informed chainsaw operator. I hope to see you in the future in another one of your classes, at the advanced level. Thank you. use a plunge cut to fell a large tree. went where I wanted them to fall. Thanks again for a very good safety training course. 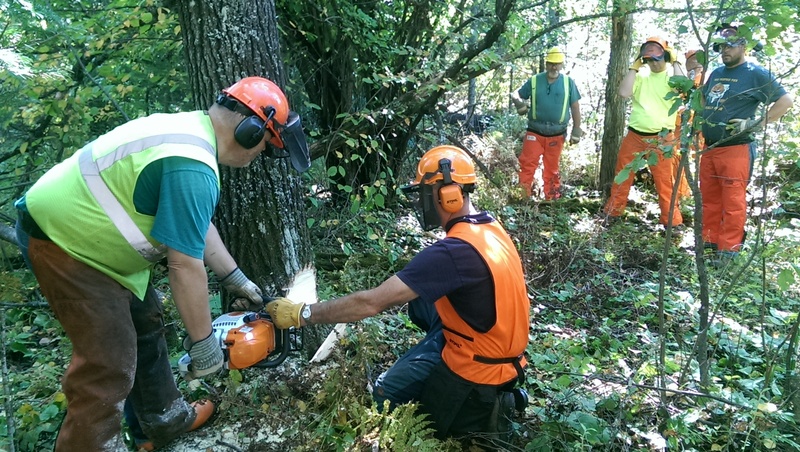 “Jim and Lee have conducted chain saw safety trainings for Ice Age Trail Alliance staff and volunteers since 2000. Both men are patient and knowledgeable teachers who bring a wealth of relevant, real world experience into context for students. We particularly appreciate their emphasis and insistence on safe working practices and learning how to recognize hazardous scenario’s, including when to walk away before danger strikes”. I just want to say thank you for an excellent training program. We were having an all day training  for our crew. 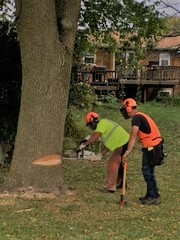 I called Lee and all I asked was to train the crew on the proper way to cut down a tree. Lee went over and above what I had asked  and did an excellent job. I asked the crew to write comments on the training and they were all positive. I will certainly be calling Lee for future trainings. Everyone at our Saturday, Oct. 20th NW Chapter meeting were extremely impressed and appreciative of your training. You have a gift for teaching--wonderful! We will talk at our next Director's meeting about soliciting 12-14 members who would like to do an all day session next year. Several already expressed interest. Thanks again, Lee. Be safe. 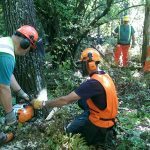 "The enire day dedicated to chain saw safetty, maintenance, techniques of felling trees and bucking the logs was the most productive and instructive time spent in my retirement years. Lee Schauman - - - -conducted the eight hours of instructioin in a superb and professional manner yet in a way that my neophyte understanding easily and greatfully comprehended." "I've worked at DEA for 28 years, sat through, organized or presented more safety and training meetings than I care to guesss. In all those years I've never heard our employees react to a meeting the way they did after they completed Lee's class. 100% of the participants gave Lee 110% thumbs up as the best class they have ever been to, bar none"
"I had a few individuals tell me before the training that if they got bored, they were going to leave. 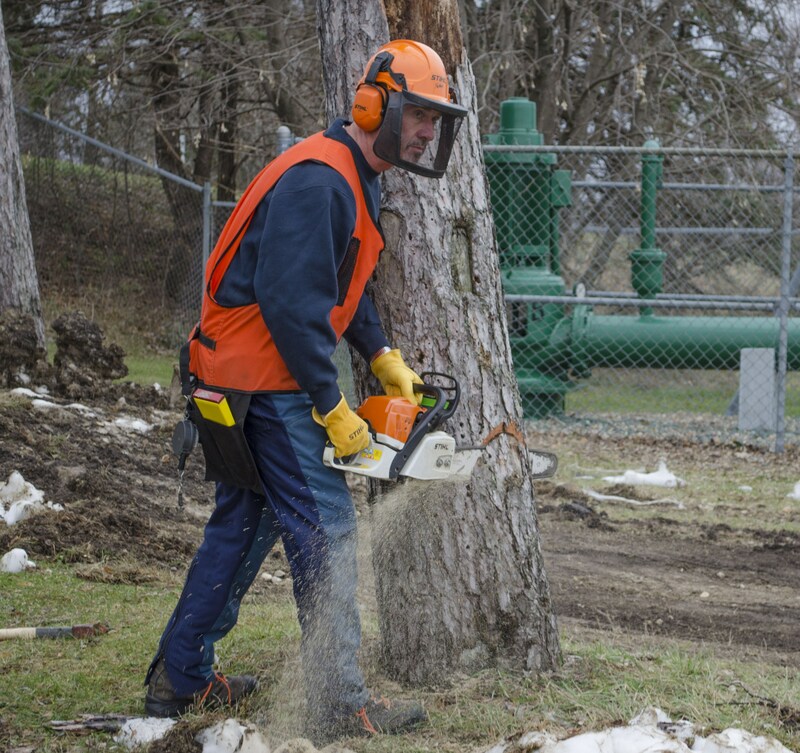 Those same individuals also told me that "they knew how to run a chain saw already, and they didn't need any training." 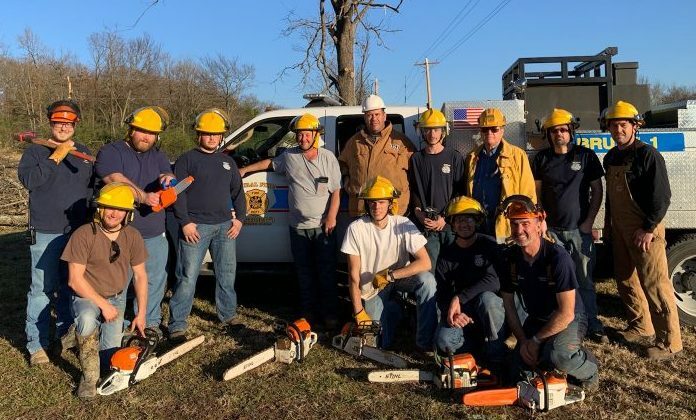 Those were the same ones that came up to me afterwards and thanked me for setting up the training, they admitted they learned a lot and believe me, I didn't think I would ever hear those words from that group of people." 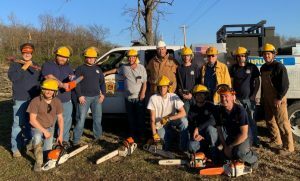 "I would just like to express my gratitude toward your organization for helping us with our chain saw training. Lee was our instructor, and  I could not have asked for a better class/instructor, he was great. ---Please pass our thanks on to Lee, everybody really learned a lot from him, he is a great trainer!!" "----were tremendously impressed with Lee and Jim. 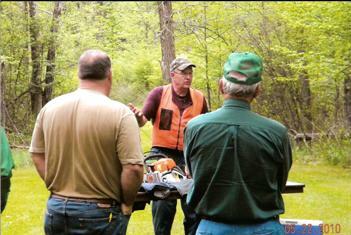 They had an excelllent presentation on OSHA regulations, clothing requirements and how to maintain the chain saw. Their skills in the field were outstanding. Each in their own way exhibited skills that few trainers have. I am a certified Safety Professional that has worked with many trainers in my life, and (they are 2) of the best. Having such an outstanding and understandable presentation really helps."